Born: April 24, 1822 in Sandwich Ma. Died: July 12, 1855 in Sandwich Ma. at 34 yrs, 2 mos, 20 d.
To: Luther Tilson Wright; (1816 – 1884) (Zadock Wright & Jane Tilson); Luther married (2) Jean Mills (1835 – ?) (John Mills & ?) in Sandwich Ma. 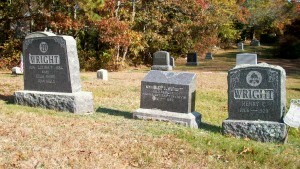 on April 27, 1856; Jean is in Pocasset Cemetery with Luther & Elizabeth/Eliza. 1. Charles Stephen Wright, Civil War; (January 22, 1841 – 1887); Married Annie L. Segee (1850 – ?) (Charles L. Segee & Susan (–)) in Sandwich Ma. on January 23, 1867; Charles is buried in Pocasset Cemetery next to his half brother, Henry C. Wright. 2. Almeda F. Wright Ellis; (1842 – ? ); Married Lysander Leslie Ellis (1842 – 1921) (Martin L. Ellis & Nancy Freeman (Handy)) in Sandwich Ma. on December 9, 1866. 3. Aurelia Wright; (March 31, 1845 – ? ); No further information. 4. 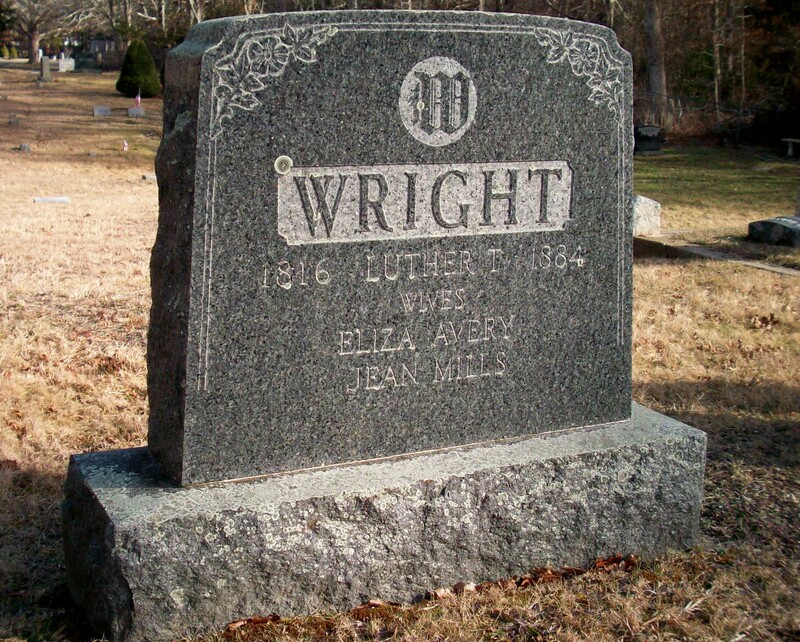 Arabella J. Wright; (April 27, 1847 – ? ); No further information. 5. 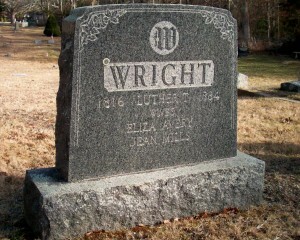 Eliza Wright Packard; (March 24, 1850 – 1924); Married Austin A. Packard (1852 – 1898) (Austin Packard & Melinda H. Lang) in Sandwich Ma. on October 2, 1876; Eliza & Austin are buried in Melrose Cemetery in Brockton Ma..